However large or small your project we'll help you find the right wood finishing product to achieve professional and long lasting results every time. Supplying the very the best range of Wood Finishing products available, alongside over 65 years experience within the industry - rest assured - we always make wood look good! 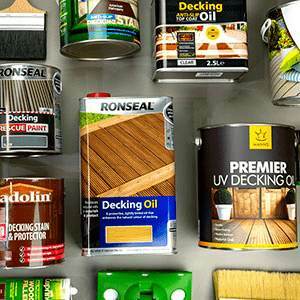 Protect, colour or revive your decking with these high-quality decking oils, stains, wood preservers and cleaners. Keep your fence performing its very best against the elements with these top-quality stains and preservers. Protect, colour or revive your shed with these selection of value-for-money treatments. Oils, cleaners and preservers to revive, restore and protect your wooden garden furniture. Achieve a professional floor finish every time with these high-grade varnishes, wax oils and beautiful floor stains. A bespoke range of oils, varnishes and stains ideally suited to interior and exterior doors, door frames and thresholds. Customise your interior desks, chairs, wardrobes and lots more with these versatile furniture based finishes. Trade-based varnishes and food-friendly oils perfect for home and trade environments alike. A high quality range of oils, preservers and sealants to finish your barn without breaking the bank. Revive, restore and protect your garden sleepers with these oils and preservers suitable for both old and new sleepers. 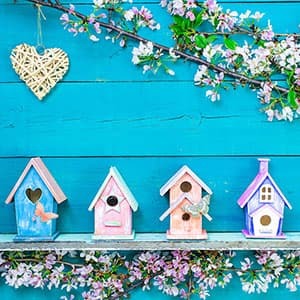 Give your Summer House the royal treatment with these top quality exterior finishes. Update, maintain or revive your log cabin with these clear and colour oils and wood preservers. Traditional finishes for all your woodturning needs in including lathe work to hand wittling. Premium quality emulsions and vinyls to create a perfect finish for any room, from ultra matt to classy satin. Spray-based varnishes and natural oils to develop a deep shine and lustre to your beloved instrument. Update, maintain or makeover your interior cabinets. Ideal finishes for commercial and domestic use. Protective, clear and coloured finishes for architrave, skirting, panelling, fireplaces and more. A high-performance range of oils, stains, varnishes and lacquers offering durable, liquid resistant finishes. An ideal range of oils, varnishes and stains for wooden stair treads, risers, hand rails and bannisters. Treat those often neglected window frames to a bit of TLC with our range of superior protective oils and finishes. A selection of easy to use wood treatments that are safe use on children toys and playware. These finishes offer minimal maintenance whilst retaining the natural beauty of your exterior cladding.